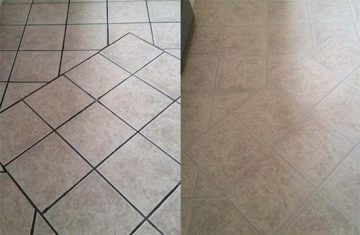 Need A Skilled Carpet Cleaning Team? We’re in Keysborough Now! Cleaning your carpets on a day to day basis is an essential part of day to day carpet care. While good maintenance is the only way to manage general wear and tear, scheduled carpet and upholstery cleaning is the only way to deeply reset the health of your carpet, managing the absorbed particles which cause discolouration, odour and organic growth at a professional carpet cleaning level. If you have small children, pets or a hectic lifestyle, it’s expected that your carpet will reflect wear and tear after a little while. AS a fabric, the deep and separate fibres of carpeting make them very absorbent to foreign material like dirt, hair, dust and other allergens. Add spills and stains to the mix and you get the general idea: your carpet needs to undergo a deep cleanse every now and then! Unfortunately, carpeted areas are challenging beasts to treat- it takes thorough training and expertise to address the chemistry of most stains and odours to completely remove them. The team at Melbourne Carpet and Tile Cleaning are IICRC accredited and treat carpets with a wealth of knowledge and state of the art equipment to achieve a deep clean. Your Residential Carpet Steam Cleaning Experts Are Ready To Go! A few spills here and there are to be expected when it comes to carpeted areas- but, over time, an accumulation of stains, odours and soiling add up. If you’ve been considering couch and sofa cleaning, or perhaps a carpet cleaning package, it’s time to book your hot water extraction/steam cleaning service in! Which Kind of Stains Can Our Equipment Remove? 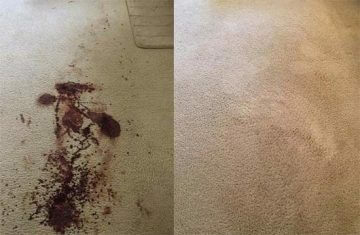 We’re trained and equipped to do our very best and address any stain! Common staining offenders are those which quickly absorb into the deeper fibres of the carpet and lock into the weave almost immediately. Carpet odour removal is essential as it addresses what you may otherwise miss: the big challenge for most houseproud people is that even if they do manage to remove the stain, often the odour left behind remains. Our deep cleaning and carpet deodorising technology makes it possible to reverse this. Dealing with challenging cleaning jobs. We use the hot water extraction method to lift stains that regular cleaning products and tools cannot. It’s the powerhouse combination of spot cleaning, suction and steam that loosen and extract harmful aspects of staining and other organic matter like dust mites and dust mite dander- the difference is visible, leaving a freshness you just can’t achieve with standard cleaning. Need Professional Carpet Cleaning in Keysborough today? If you would like more information about the services we provide at Melbourne Carpet and Tile Cleaning, our professional team are more than happy to help. 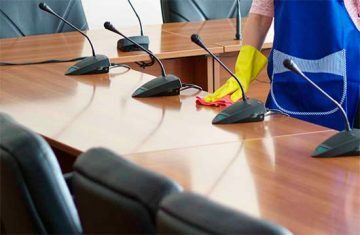 We may also be able to provide a same day service if you require immediate cleaning. Please contact us for further information.